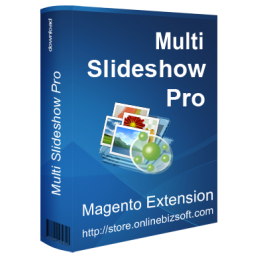 The Multiple Slideshow Pro extension allow you to build and display unlimited slideshow on any CMS page. The SlideShow Pro Magento Extension also provide many built-in style/effect for each slideshow. The Multiple Slideshow is built to allow store owner uploading images and creating unlimited slides via admin, no FTP needed. Store owner can display slides into CMS pages simply like calling Magento block from CMS contents. The extension has built in most popular animation types and effects which is ready to assign for each slideshow. 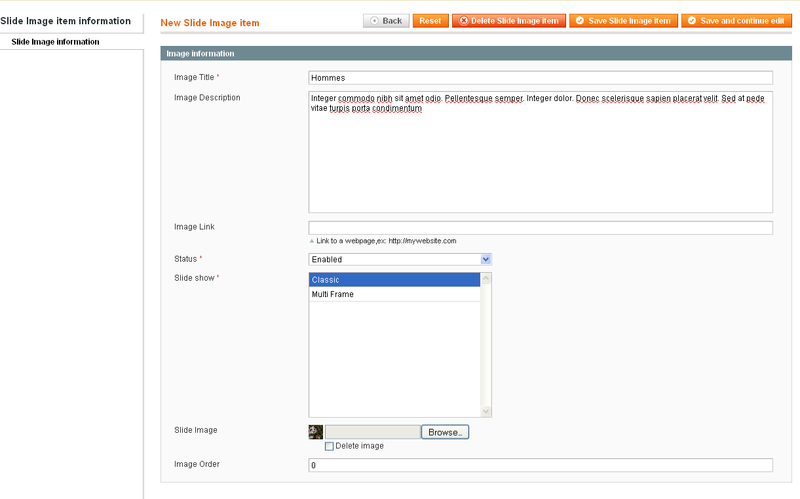 The Slideshow extension fully support customize via admin to fit to your Magento Store. Exactly what every Magento site needs, easy to install and even easier to format for our template. It perform really well, and the customer service is fast and efficient. HIGHLY RECOMMENDED!!!! The support from OnlineBiz is great. Problems where solved within a day! I recommend your extension to anybody. Easier for us to manage banners without using FTP upload. It's a good extension. This extension does exactly what it says on the description, works great and easy to set up and run. This is a must have extension! Multiple Slideshow Pro is really useful and easy to handle for the client. You can easily add as many new slide show as you want all over the site in a very profesional looking way. 100% recommended. This extension is a must-have for any magento store! Thank OnlineBiz team. Here is a great extension. Very easy to use and graphicaly powerful. This has all the features we needed. Create multiple banners for multiple areas of our site. 2011-11-05: Fix admin roles permision error.